T580 four-rotor aircraft is a high-performance model plane which is positioned on aerial photography players. It is brief in shape, stable in flying, easy in operation. �Stability: 6 DOF motion measurement and control, the use of high-performance MEMS sensor technology, impact resistance, low drift. 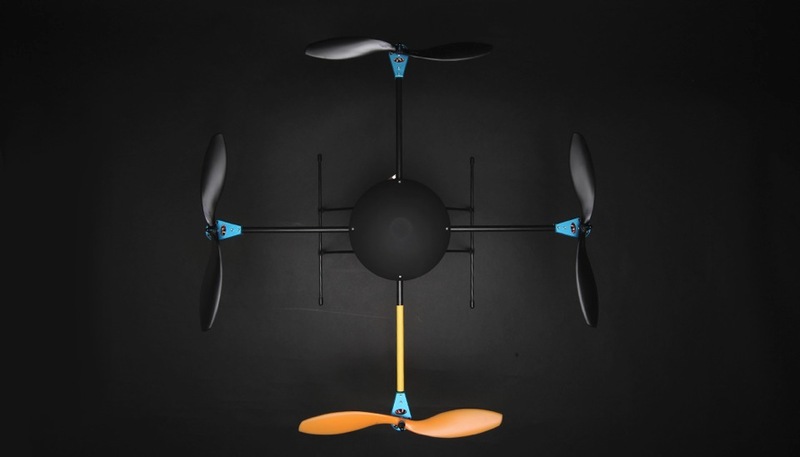 �Simplicity: Independent core system, compatible with all remote control devices, only needs 4 channels transmitter can make it fly. 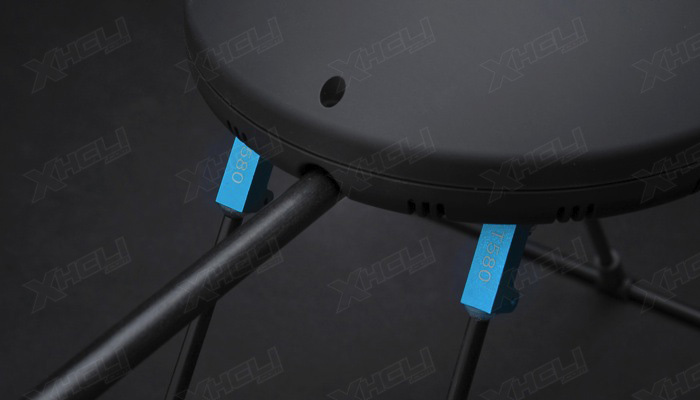 �Easy to use: quick installation, intuitive operation, with two-dimensional self-stable head support, but aerial player. 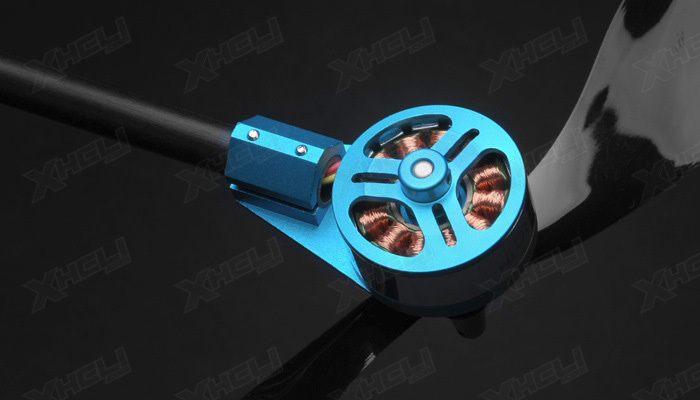 It rely on the four brushless motor, direct drive propeller as the push power, achieve self-stabilization suspension. 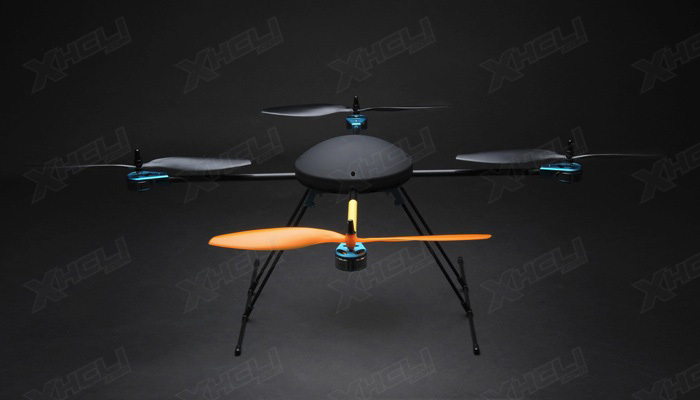 By remote control of the system, the airplane is able to make vertical takeoffs and landings, fixed hover, fly around the left and right side, about three-dimensional self-rotation space action. A holder can be installed below the airplane for holding a digital camera, webcam, light DV and other aerial photography equipment. 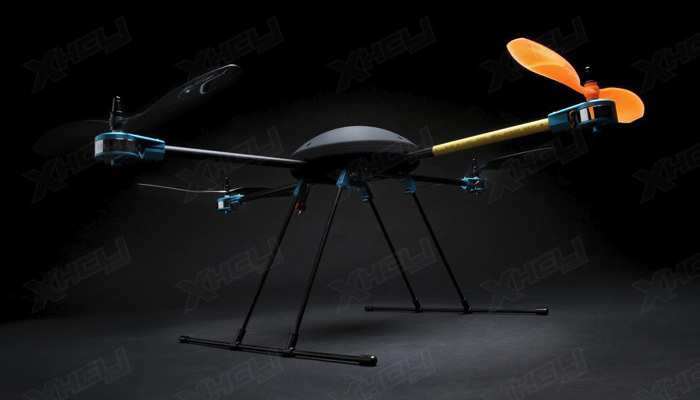 The holder angle can be adjusted by remote control equipments for different visual angles. 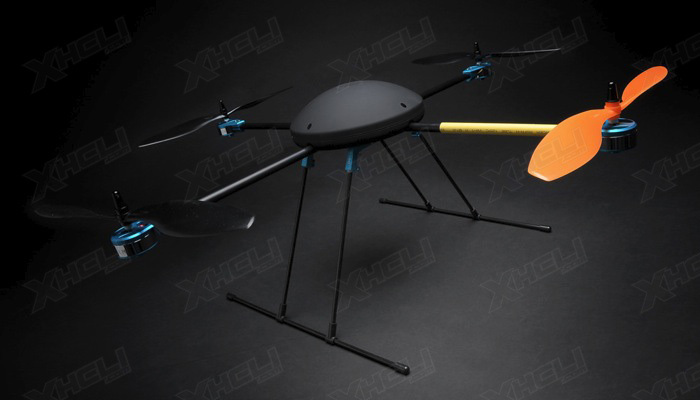 Head fixation with the aircraft, using self-designed shock absorber damping suspension system, an effective vehicle body vibration filter to eliminate the aerial image ripples. 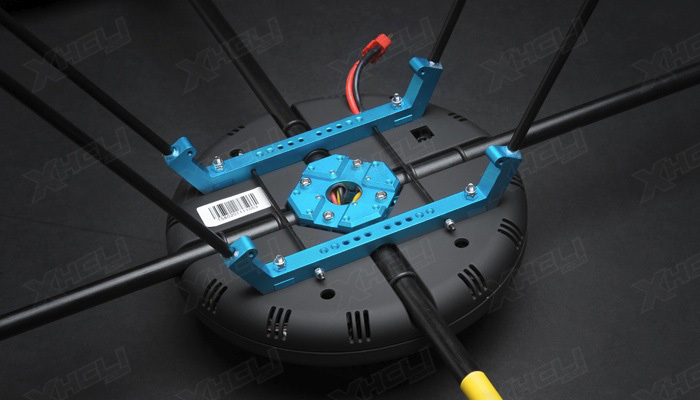 Tripod head suspension point is located on the beam, a fixed tripod, it can be a quick disassembly, easy to carry out. 1):High-speed dedicated brushless electric stressed that sustainable output current of 12A, overload performance, special blocking protection strategy to effectively prevent the burning of power tubes. Built-in communications signal monitoring mechanism, the input signal interruption will gradually turn off the motor output. 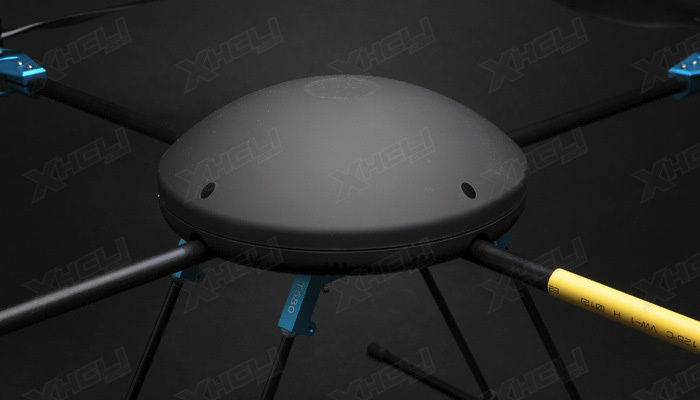 2):The flight control runs fast and stable by using the high safety and technical grade control unit, combining the latest high-performance MEMS transducer to achieve the stable and reliable posture control.8 receivers signals can be captured to achieve posture control and PTZ operation. 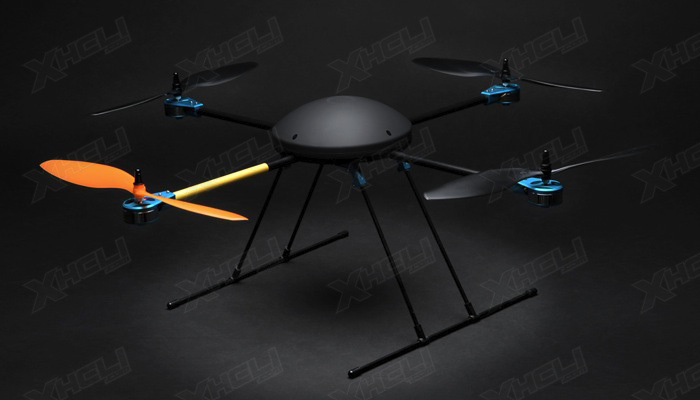 3:)This software system is specially aimed at Four-rotor models development which has full independent intellectual property rights. Based on the intellective fuzzy algorithms self-adoption parameter, it leaved out setting steps to be user-friendly and keep the aircraft stable. 3. 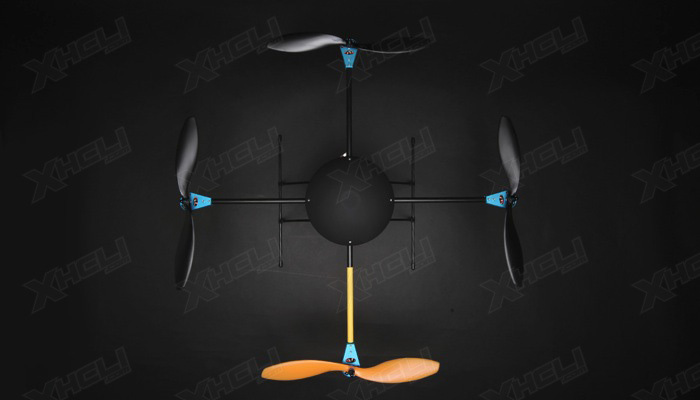 Propeller : 1260 (12" X 6" thrust per rotation), Clockwise X 2 and Counterclockwise X 2, all 12" Dia.